It’s easy to stack comparisons up on paper. But, the real world can provide a very different answer. 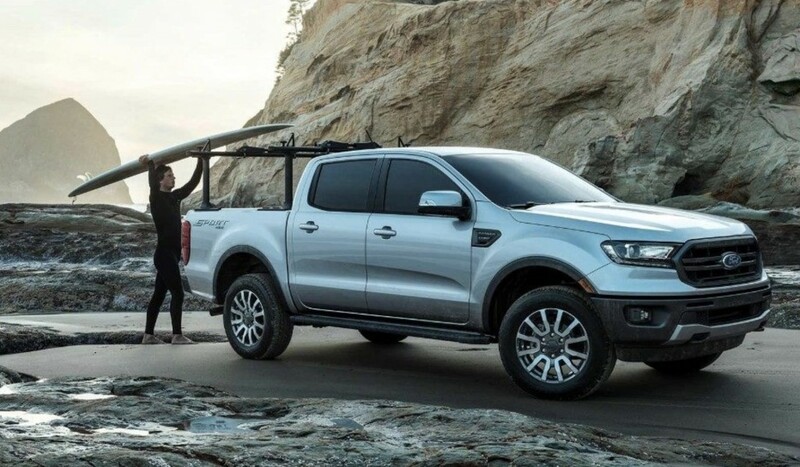 Case in point: the 2019 Ford Ranger. Our sister publication, Ford Authority, had a first-ride experience in the Blue Oval’s reborn mid-size pickup truck, and it could pose a formidable threat to the Chevrolet Colorado. We climbed behind the wheel of 4×4 Super Crew configured Ranger models, which all sport the same 2.3-liter turbocharged four-cylinder engine. This is where the competition heats up. 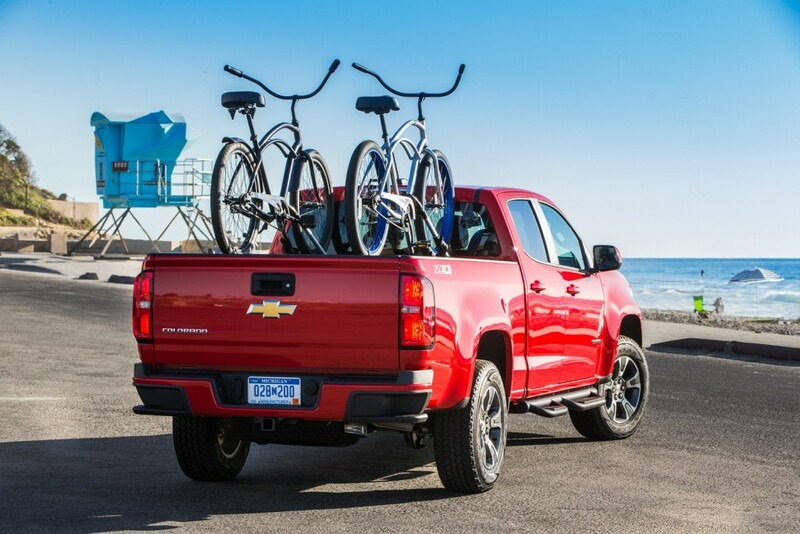 The 2.3-liter turbo-four provides far greater payload and towing capability than a comparatively priced 2019 Chevrolet Colorado. Comparing both trucks in volume trims (not the work trucks) the Ranger XLT outdoes the Colorado LT. The Ford will start at $31,120 (4×2) compared to a Colorado LT 4×2 with the 2.5-liter four-cylinder engine at $30,495. However, the Ranger offers the added capability and a standard suite of active safety features—something Chevrolet is seriously lagging behind competitors with. For those who need a 4×4 system, Chevy automatically pairs it with the 3.6-liter V6 engine, which raises the price to $32,595, while the Ranger gets slightly pricier at $35,210. Again, buyers will receive a greater payload and towing rating (1,860 pounds and 7,500 pounds). Otherwise, the two trims pair up well in terms of standard features and content. Of course, Chevy will gladly sell buyers a Colorado Diesel, which handily outdoes the Ranger’s specs, but that’s also a $40,000 pickup before other options. In our ride, the Ranger was poised and showed off its off-roading chops, too. We even declared the truck might not need a Raptor variant when adding up the available off-road equipment. We’ll likely get a full test of the 2019 Ranger in the next month or so. But, for now, Chevy should be keeping a close eye on the Ranger. The Colorado reignited the segment, but Ford knows a thing or two about selling Americans on its trucks. Time to make the 2.7T and the Duramax(with updates0 the only engine options, with a ten-speed and eight-speed, respectively. Ford will be the new kid on the block but it will change little. Most buyers will be Ford buyers with a mix of independent buyers like the rest. Most buyers will be previous Ranger owners looking to up grade or come back from the CUV market where many went while the truck was gone. The segment is like the full size where each brand has a loyal following with a group of unloyal independents that bounce around. The GM refresh is coming and the replacement will soon follow. GM will soon add the adaptive cruise and 360 cameras by next year. The towing and payloads differences matter less here. Ford will lack the V6 many like even if the 4 is good. Cylinder count matters to many buyers. Also the auto engine stop of the Ford if it can not be disabled will be an issue. Also the Ranger is like the Full size where the options add up fast and make the Ford much more expensive. For sure one thing is the Ford rivalry with GM will make both better while Toyota dits on their hands. toyota sits on their hands but they still outsell everyone else in the mid-size market don’t they? that is what reliability(perceived or otherwise) gets you. i don’t know the mindset of the truck buying consumer(or any consumer for that matter) but i would’ve thought that the 2009 bankruptcy should’ve driven complacency out of gm. they shouldn’t be taking any customer for granted. They are also not tempted to buy just a newer version of the same truck they have had for years. GM has not been complacent. These trucks are only 4 years old. They have added models and already completely replaced the V6 and transmission. The new 3.6 while it appears the same fixed the issues it faced and improved the engine all the way around. The re fresh is expected next year most likely delayed to counter the new Ford. I think that while the Colorado/canyon could use some updating; they also need to stay somewhat the same. Think about it; most people buying a truck (mainly fleets, and small business) may not want all of the top end safety features and new technology that will end up costing more. Ford is basically forcing its customers to buy tech they may not want. I think that drivers aids are a great piece of technology, but I personally would not want to have them in a vehicle. Chevy also needs the option for a base model Duramax. Great little workhorse engine with amazing MPGs. If fleet owners could buy a 30k Diesel truck that gets 31 MPG I’m sure most would (I personally would be a customer). Yes the Canyon could use some major updates, especially in the $40,000+ Denali trim; but I think that the Colorado should stay fleet and work focused (for the most part). All automakers need to realize that people do not have infinite amounts of money to spend on cars, and those that do may not want to spend all of it on technology they dont want/use. Refine the driveline, lose some weight and just step up the features and interior. Judging by the crude experience I had in my friends recently acquired 2016 Mustang with the 2.3 EB engine I would take the Colorado in a heartbeat with it’s higher HP smoother quieter 3.6. The 2.3 didn’t feel all that strong off the line, was noisy, sent vibration through the steering wheel and was generally unpleasant sounding. Unless Ford has somehow done a really good job of refining this engine in the Ranger I’ll pass.